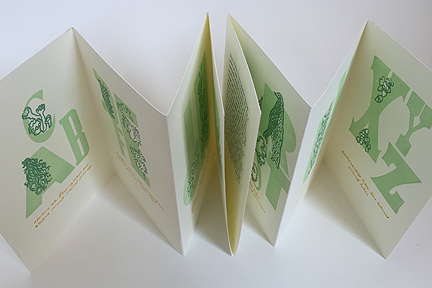 In this special alphabet book, drawings of a variety of California lichen are printed in the counters (the open areas) of selected wood type letters. 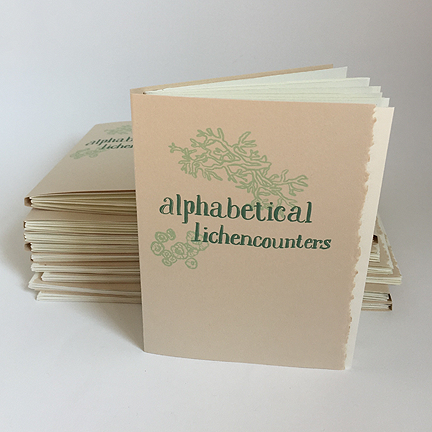 Also printed from handwritten text are the intriguing and poetic names in Latin and English, such as "crowned pixie-cup" and "seaside tube lichen," "wolf lichen," and "hopeful beard" lichen. The warm white folded book is printed on Stonehenge, a thick, acid-free paper, and comes in a tan Stonehenge title folder that contains the colophon as well as the title. 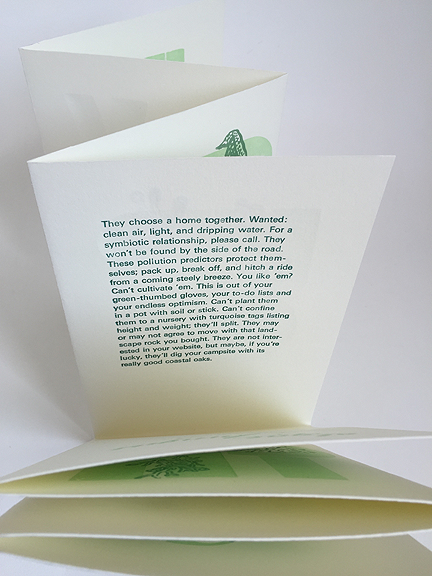 In the center folded section is a prose poem about lichen and their symbiotic relationship, how humans cannot cultivate them, and how they are pollution predictors. 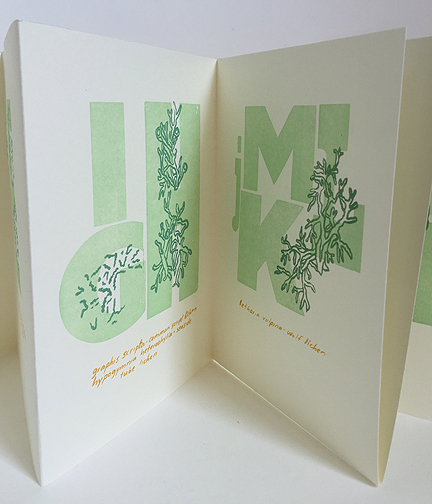 All printed by hand from handset Univers type, wood type, and handwritten text from photopolymer plates in light green, dark green, and golden yellow. This book measures 5" x 7", comes in a protective cellophane bag, and is signed and numbered.